Perhaps more than any other activity in the City, the cafés of Paris offer the visitor a chance to sit back and feel like a real Parisian. And anyway, there's nothing better than being on a sunny terrace, sipping a café crème (milky coffee) and watching the boulevard go by. Most of these places could easily be included on the restaurants page as they serve food throughout the day. Angelina’s opened in 1903 and lately has spawned a few offshoots. 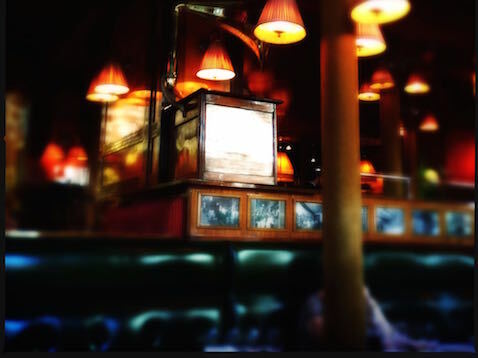 But here is the original Belle Époque tearoom where you can find breakfast, lunch and tea. And THE BEST hot chocolate EVER. Be prepared to queue. The Flore, which opened in 1885, is the grande dame of St Germain and its Art Deco interior has changed little since World War II. It offers a variety of meals, snacks and drinks, from the break of day until the early hours. A neighbour and contemporary of the Flore, the room is charming and bright and a wonderful evocation of the Belle Époque. Drop in for a meal, a snack or a drink at any time. If you can get in ... Does great snacks and the best lemon meringue pie. Set slightly forward from the grandeur of the restaurant, the café at the Dôme is still a great place to spend a lot of money on a coffee. Fancy feeling like a bohemian artist in the Latin Quarter? You've come to the right place. Serves good food but you can also just drop in for a drink. 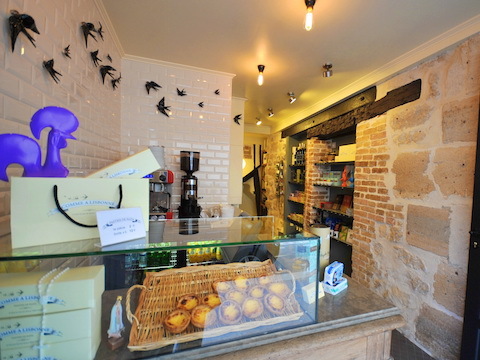 The tiny Comme a Lisbonne sells great coffee and Pasteis (Portuguese pastrys) to take away - unless the two stools are vacant. Next door its café, Tasca, serves lovely Portuguese snacks. 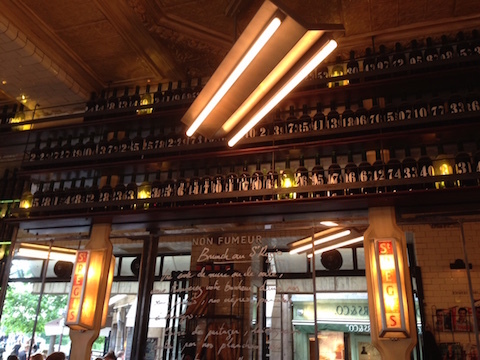 One of a wider chain of great cafés that aesthetically combines the classic Parisian bistrot with a New York vibe. The food is consistently good whether it's breakfast or dinner and you can also just drop in for a cocktail. 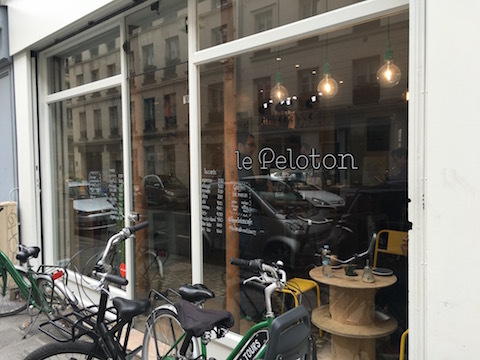 An authentic local café on the île St Louis. 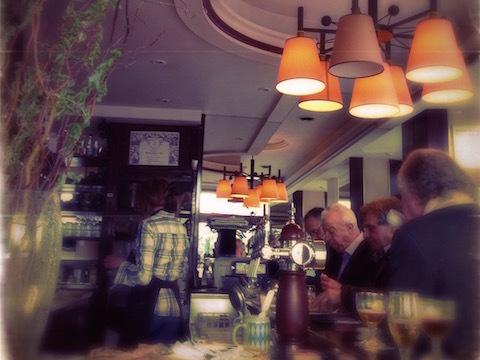 A good coffee is harder to find in Paris than you might think. This newish coffee shop, run by charming New Zealander, Paul, serves up excellent coffee and fresh waffles for breakfast. Also, if you're an English speaker and fancy a break from having to speak French, you've come to the right place. On a warm day, even when crowded, the courtyard of the Grand Mosque is a delightful haven. 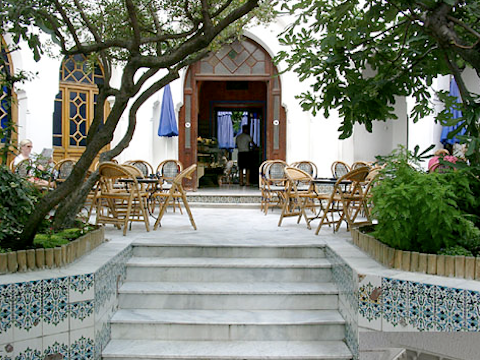 Drink traditional mint tea under the fig tree and feel as though you've truly travelled.